As a clinician and later as the mental health director for Tillamook, Deschutes, and Multnomah counties, I came to greatly appreciate the tremendous support that NAMI provides to families, and, whether mental health professionals recognize it or not, to the mental health provider system in Oregon. My appreciation and respect for the countless hours of volunteer time that NAMI trainers, boards of directors, etc. contribute led me to want to be a part of this great organization. The NAMI walk is such visible demonstration of unity and hope! Stigma has always been, and still is, one of the biggest reasons why mental health services haven’t been mainstreamed in our health care system and why evidence based practices have been so slow in being embraced. 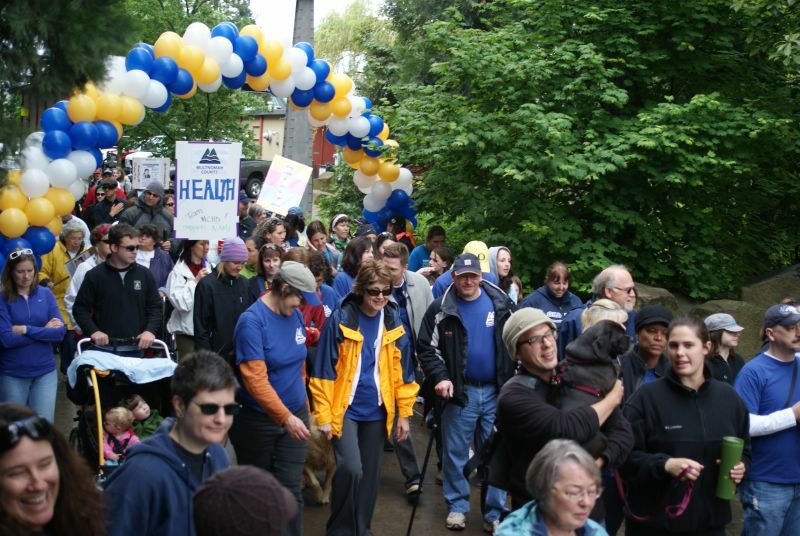 Not only does the walk allow all of us who participate in it or who contribute to it the opportunity to help make a difference in the lives of consumers and families, it may even attract some new followers to our “cause ” – that being to make sure that someday everyone effected by a mental illness gets the help they need and are treated with dignity and respect. I can’t think of a better way to spend my time!